I have uncovered some information that I am still reviewing to figure out their significance to this Sechler family. I decided to share it in the hopes that someone may know something I haven't deciphered yet. If not, it's still very interesting and shows a high probability that these people are of the same family. It was generally accepted long ago for families to marry more than once when a spouse was lost. 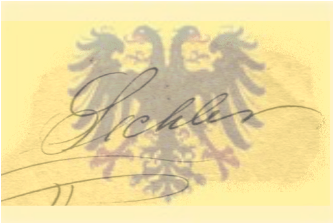 In reading some of the historical documents and accounts, it is possible that Johannes Andreas Sechler was previously married and had a son prior to coming to America. In Lomersheim, Wurttemberg, Germany there is a record of a marriage of Anna Margaretha Heege to Johannes Andreas Sechler, who also died in 1761 and this listing has his birth in 1663. There is also a record of baptism at Katholisch, Ballenberg, Mosbach, Baden for Johannes Andreas Fredericus Seckler on March 22, 1668 in Nussbaum where Johannes' father Hanss Jacob Sechler was born. Records can also be found on a Hanss Jakob Seckler who was married to Christina Margaretha Pfiregess. They had a son by the name of Jeremias Sechler, born December 20, 1689. Hans Jorg Seckler, born December 10, 1686 Lomersheim, Wurttemberg died July 10, 1721 Nussabaum, Wurttemberg. He married Anna Margarethe Scheible (later Biner). Since Christina Margaretha Seckler died in 1698, it would not have been unusual at the time for Hanns to have remarried. I suspect these may be brothers to Johannes Andreas Sechler, who's mother is listed as Maria Katharina (Catharina) Sickler, who became a widow in 1696 when Hanns died. She would have most likely remarried as well. There is also record in that region of Friederich Carl (Karl) Ludwig Sickler, born November 29, 1773. He was a well educated man. He was a tutor in the home of Wilhelm Von Humboldt, Prussian Ambassador from 1805-1810. Friedrich Sickler was also a historian focused in scientific arts such as arehseology, philology, and antiquities. He specialized in various forms of archaeology but was more noted for his Egyptology and and expertise in reading and interpreting ancient Egyptian hieroglyphs and the languages of ancient Biblical texts. ﻿Note: Arehseology, descriptions suggest that it deals with study of the antiquities and their archaeological surroundings of these various cultures. In short, my reading suggests that Friederich Sickler was an expert in studies of uncovering physical evidence of and interpreting the meaning and authenticity of ancient, in specific, Biblical artifacts. Friederich's expertise with ancient papyri is also noted. The Herculaneum papyri are more than 1,800 papyri found in Herculaneum in the 18th century, carbonized by the eruption of Mount Vesuvius in AD 79. After various methods of manipulation, a method was found to unroll and to read them. Attempts at unrolling were made by H. Davy in 1818, and by Friedrich Sickler in 1817–1819. From 1802 to 1806 the Rev. John Hayter unrolled and partly deciphered some 200 papyri. Frederich C. K. L. Sickler also worded the engraving on the tomb of Duchess Charlotte Georgine Meckleburg-Stirling, daughter of Charles II, Grand Duke of Meckleburg. The daughter of the duchess was Charlotte, Princess Paul of Wurttemberg (birthplace of our Sechler family line in America). Her sister was Queen Frederica of Hanover. While it could be purely circumstantial that these families were located in the general region of the American Sechlers prior to their emigration, I suspect this Frederich Sickler is probably a family member to Johannes Andreas Sechler. *Names in Red indicate the family line belonging to Margaret Bell Sechler. The Sechler families are very large, so they have been broken down one at a time for ease of locating each relative to avoid endless scrolling. The Sechlers were Romanian immigrants said to have fled their homeland in 1685 during the persecution of John Huss. They settled near William Penn's town in Philadelphia once they reached America. Johannes Sechler was listed on the Philadelphia County Landholders. His name was spelled "Seeclear". The land was listed in 1734 at 100 acres in Hanover, Philadelphia County, Pennsylvania. He was buried June 1761 at New Goshenhoppen Church, Upper Hanover, Philadelphia County, Pennsylvania. Johannes Sechler died between June and Oct 1761 at At his Plantation, Upper Hanover, Philadelphia County, Pennsylvania. Anna Maria Maurer died on 5 January 1777 at Upper Hanover, Philadelphia County, Pennsylvania, at age 69. She was buried on 6 January 1777 at New Goshenhoppen Church, Upper Hanover Twp., Philadelphia County, Pennsylvania.